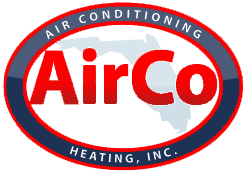 AirCo Air Conditioning & Heating provides dependable, affordable Jupiter air conditioning repair services. No matter the make or model of your AC system, our technicians have the experience and training to do the high quality repairs that will keep your AC running. We know it can be miserable when air conditioning goes out in Florida, and our expert technicians are available 24/7 for emergencies. Customer service is a priority, which means our technicians are friendly, accommodating, and highly professional. Protective footwear is worn whenever repair techs arrive, so that the only thing left behind is a smooth-running air conditioner. When the AC is running but it isn’t cooling. This could mean Freon levels in your system are too low, or it could be something far more serious. This often means that the unit needs to be replaced. When the room temperature gets either too cold or too hot or part of the home gets colder than other rooms, you may have a thermostat problem. If water is leaking from the air conditioner. There are two basic types of leaks. The most serious is a refrigerant leak because it can be a serious health risk. A less serious issue is a problem with the drain tube. Your air conditioner is consistently making strange noises. Grinding, grating, and squealing sounds from an AC mean something is wrong. Jupiter air conditioning repair is needed. If the service isn’t repaired, a costly breakdown is a big possibility. If foul odors are coming through your air conditioning vents, it could mean the wire insulation on the AC system has burned out. Musty smells are usually an indication there’s mold in your ductwork that needs to be removed as soon as possible, since it is a health threat. The approach of tending to your air conditioner only when problems arise is more expensive than signing up for a maintenance program. Repairs can be costly, especially when emergency help is needed. 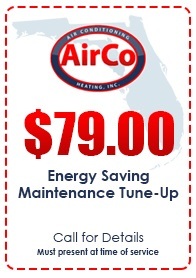 At AirCo, we offer a maintenance program that provides numerous benefits, in addition to reducing repair costs significantly. Your comfort depends on a reliable air conditioner, and the best way to avoid frustration with your AC system is to trust the professionals at AirCo. We have small town values but provide services of the highest quality. 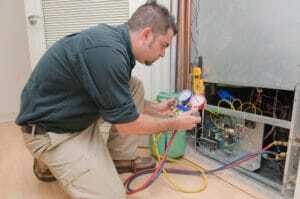 Contact us today for Jupiter air conditioning repairs or to discuss getting your AC system on a maintenance program.